Crystal wire wrapped and turquoise agate bead earrings. 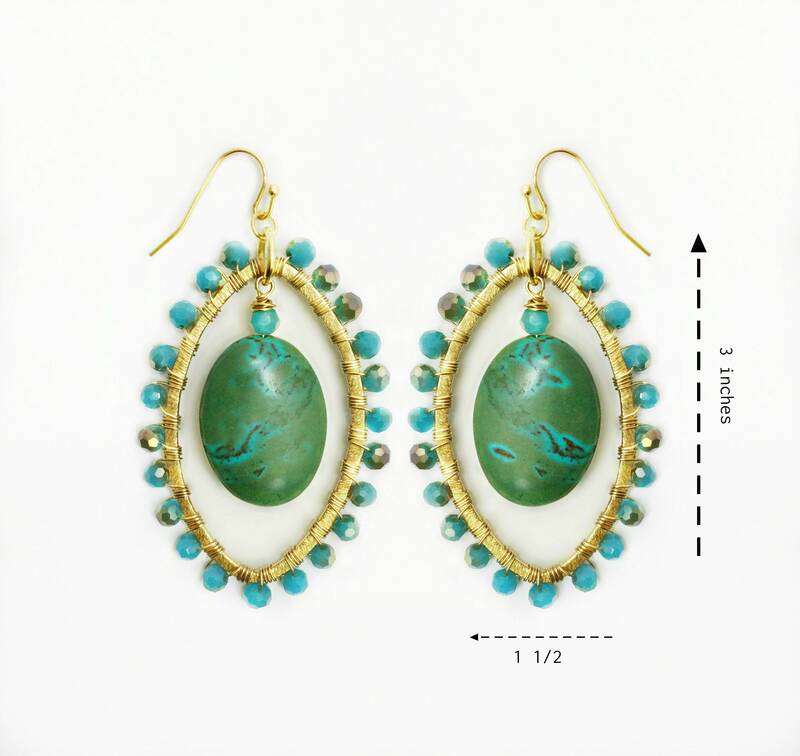 These earrings are 3 inches long and 1 1/2 inches in width. These earrings defiantly make a statement. 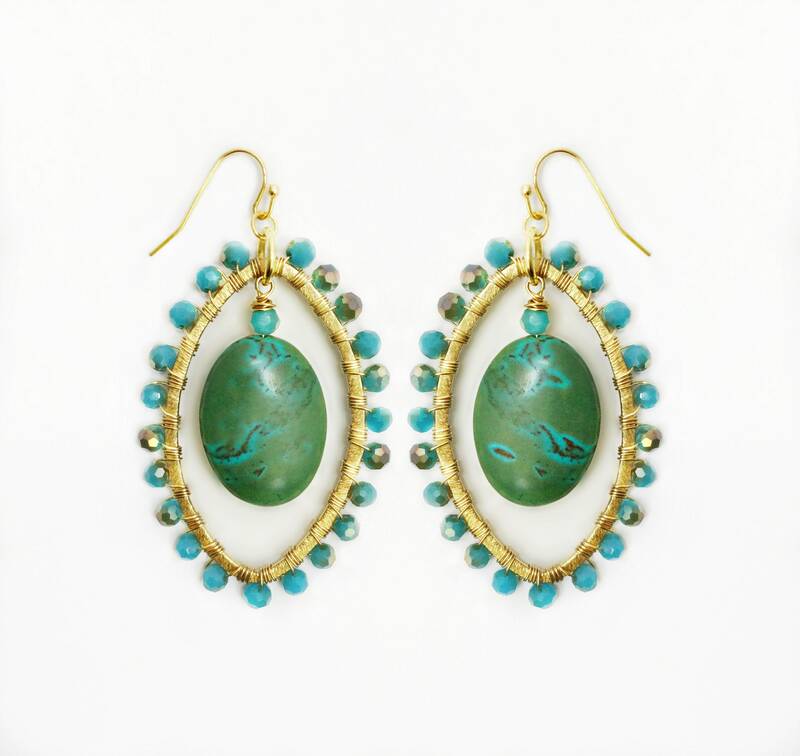 Because of the turquoise color in these earrings they are perfect to wear anytime of the year.